If you are looking for a perfect living place for your holidays on Koh Samui – Thailand, Golden Sand Beach Resort offers you the best golden relaxation for your vacation in Thailand. We are located on Lamai Beach close to the main ring road with easy access to many nearby Koh Samui attractions. Golden Sand Beach Resort provides two main types of rooms: Superior Rooms & Superior Bungalows. All are surrounded by a tropical garden, which enhances a real relaxation feeling for holiday makers. The back of the resort is directly connected to the beautiful sandy Lamai Beach with crystal clear water and clean atmosphere. Travelling to Koh Samui can be undertaken in any season, but the best period is between December and May because of the good weather conditions during this time. Lamai has its own beach road, linked to the whole Lamai business area. In spite of many Hotels, Resorts, Shopping and Nightlife areas, Lamai still offers more privacy and natural beauty, than the very busy Chaweng Beach. 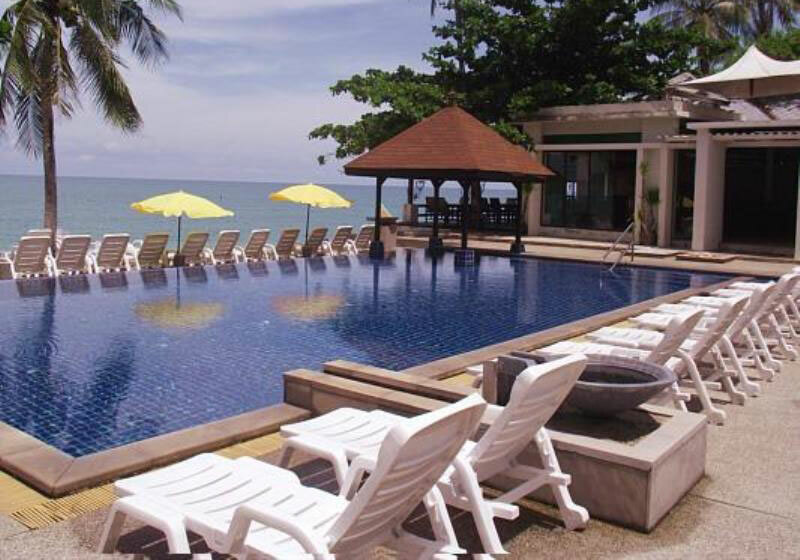 Short Description: Golden Sand Beach Resort offers you the best golden relaxation for your vacation in Thailand. We are located on Lamai Beach close to the main ring road with easy access to many nearby Koh Samui attractions.